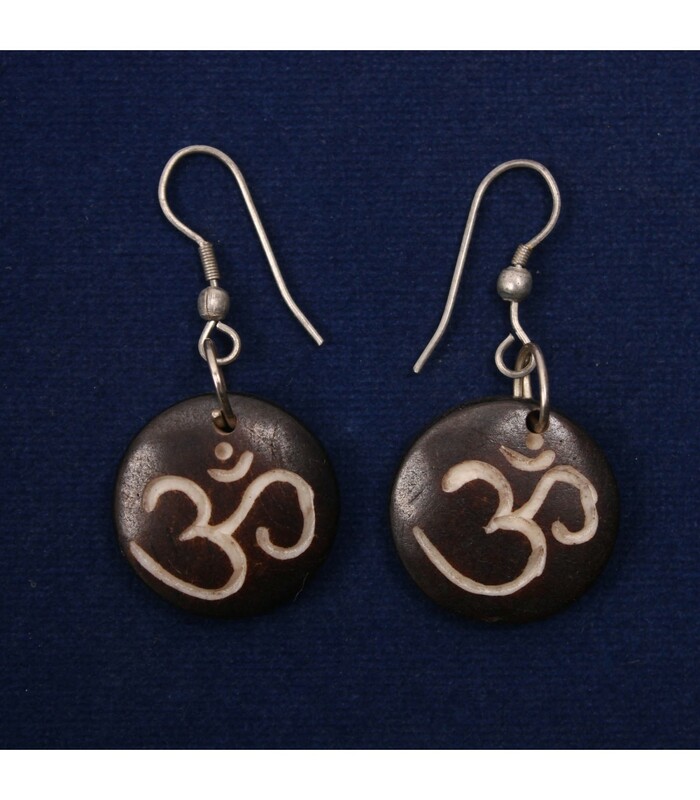 Simple yet elegant Om bone earring hand-made in Nepal. The earring is shaped into flat round shape and dyed in coffee colour. Complete your casual summer look with these simple design earrings.